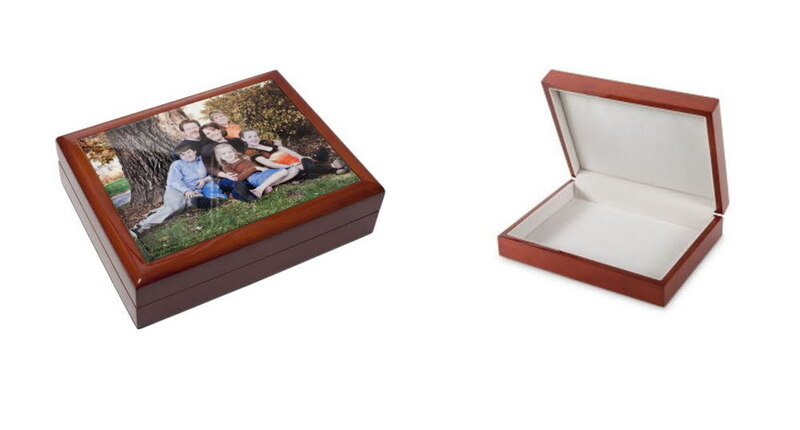 This beautiful wooden keepsake box measures 20cm x 15cm. It has a soft white velvet lining and has a ceramic tile on the top of the box to be personalised with your photos/text/artwork. A unique gift perfect for all occasions such as Valentine's Day, Birthday's, Anniversaries, Weddings, Christmas, Christenings...it's endless!